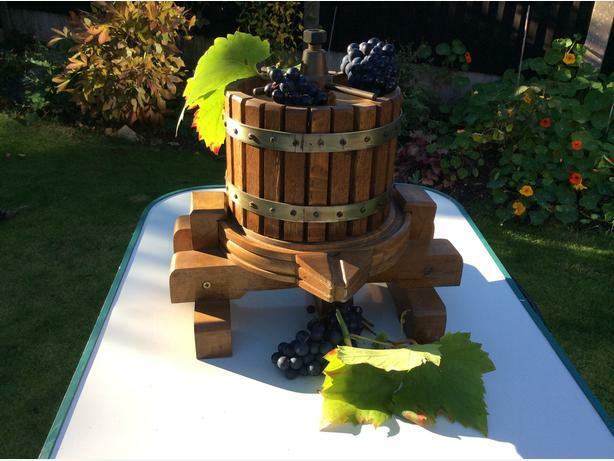 Working Small German wooden wine press, can also be used to press apples also Never been used. Purchased from a German Vineyard. Can be used as an ornament or to press wine or cider.